Although their campaign has concluded, if you would still like to make a donation to Trainee Supported Brain Injury Research, you may always do so here. The core mission of this research program focuses on precision medicine applications for individuals with disability due to acquired brain injury. Despite recent advancements in precision medicine for many areas of disease, the need and importance of precision medicine advancements for those with long-term disability has been largely overlooked. Our Rehabilomics Research Program addresses this problem by integrating important data about personal biology, environmental factors, clinical presentation, and other individual characteristics to assess the biological underpinnings of brain injury pathology and recovery. This information also helps guide risk assessment for secondary conditions associated with brain injury such as the development of epilepsy, depression, cognitive and behavioral problems, headache, and neuroendocrine problems. The impact of these conditions on health and function after brain injury is also a major focus of our work. As we learn more about the biology of health and function after brain injury, we can tailor treatments and personalize management plans that minimize disability and maximize recovery. As a clinical and translational scientific research group, clinicians are a part of our research team and help us integrate our findings into the care that we provide for our patients. Trainee supported research is an increasing and complex challenge through traditional research grant funding channels. This year, we have decided to augment our grant application efforts with crowdfunding. 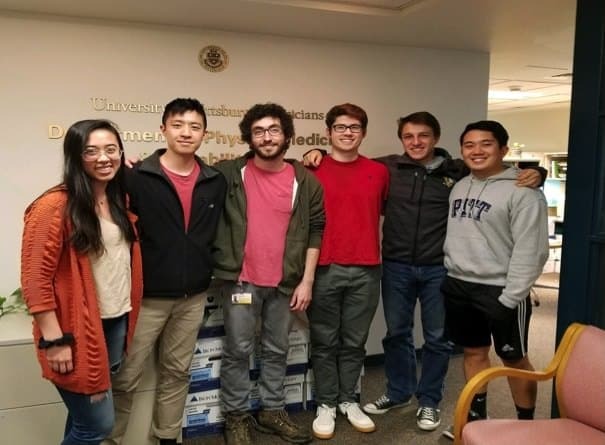 Donations are tax-deductible, and 100% of your contribution will directly fund trainee supported brain injury research and dissemination activities conducted through the Department of Physical Medicine & Rehabilitation within the University of Pittsburgh’s School of Medicine. Your generous contribution will enhance cutting edge research projects intended to optimize function for the millions of individuals living with the long-term effects of brain injury. Our brain injury research program thrives in partnership with trainees at the undergraduate student, graduate and medical student, resident physician, and research/clinical fellow levels. Trainees are involved in every area of our research program. 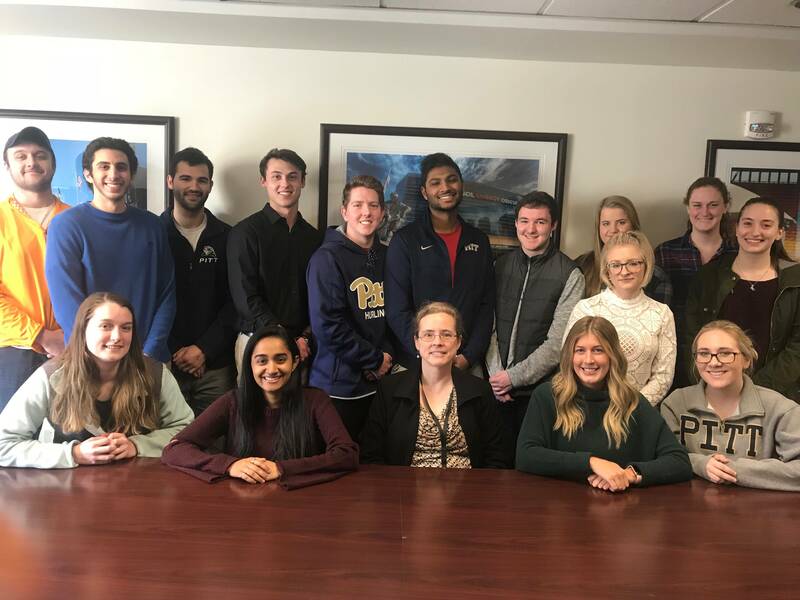 They gain valuable experience on how to think critically and conduct meaningful research that can improve the lives of people living with the long-term consequences of brain injury. Student scholars also have opportunities to present their work locally and nationally to the larger research community. By keeping trainees central to the focus and success of our research program, we are also recruiting, educating, and mentoring the next generation of neurorehabilitation researchers and brain injury care providers that will enhance the lives of brain injury survivors. Funds raised will support projects that have students and trainees as critical team members to the research program. Compared to the general population, individuals who sustain a traumatic brain injury have 10X greater risk of developing major depression. Our research trainees have helped identify how inflammation and personal biology contribute to this risk. Of those with moderate to severe traumatic brain injury, our work suggests that 20% will have developed epilepsy within 5 years of their injury. Trainees in our research program have been integrally involved in identifying unique genetic markers associated with seizure risk in a population with severe TBI. Individuals with traumatic brain injury are 50X more likely than the general population to die from a seizure. Trainee supported research is generating individualized, quantitative seizure prediction algorithms to help practitioners better gauge how to treat and prevent post-traumatic epilepsy. Trainees participating in the Rehabilomics research program have co-authored over 100 scientific abstracts that were also accepted for presentation at a national conference. The incidence of traumatic brain injury is calculated to be approximately 200 per 100,000 per year. Your donation helps support young and enthusiastic trainees learn about the latest advances in brain injury rehabilitation research and care. 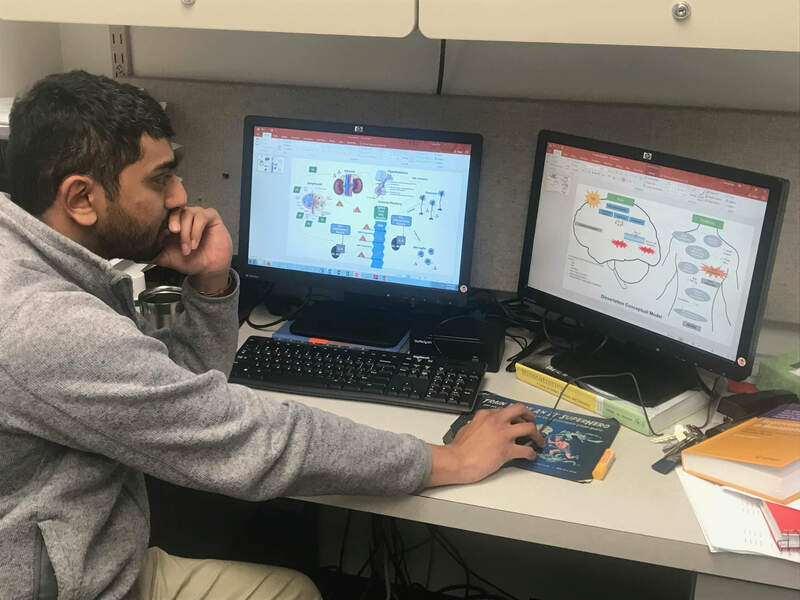 Student researchers have shown that ~44% of men with severe traumatic brain injury have abnormally low testosterone levels, a vital hormone that impacts energy levels and functional recovery. Your gift will sponsor continued trainee research focusing on potentially relevant treatments for recovery and repair that address this condition. Recent research from the Henry Kaiser Foundation suggests that only ~60% of the mental health services need is being met in Western Pennsylvania. Other data suggests that mental health problems are the number one reason for hospital readmission after a moderate to severe traumatic brain injury. Your gift will help us continue our trainee supported mental health research efforts that are aimed at screening, prevention, and effective management of mental health disorders after TBI. Survival from sudden cardiac arrest has risen to 10-12% in recent years. Our trainee supported research has identified unique changes in brain neurotransmitters and inflammation after cardiac arrest. Your donation will aid in additional trainee supported research evaluating the mechanisms underlying these changes and studies on how clinical rehabilitation treatments and therapies can be tailored to optimize recovery in this unique population with acquired brain injury. Over 2200 Emergency room visits per 100,000 population are made for traumatic brain injury among adults over the age of 75 years. Trainee supported research has made multiple important discoveries on how age at the time of injury influences pathology and recovery. Your donation will continue to support trainees in their work to understand how inflammation and other hormonal signaling molecules influence mortality risk and complications that commonly occur in older individuals with brain injury.